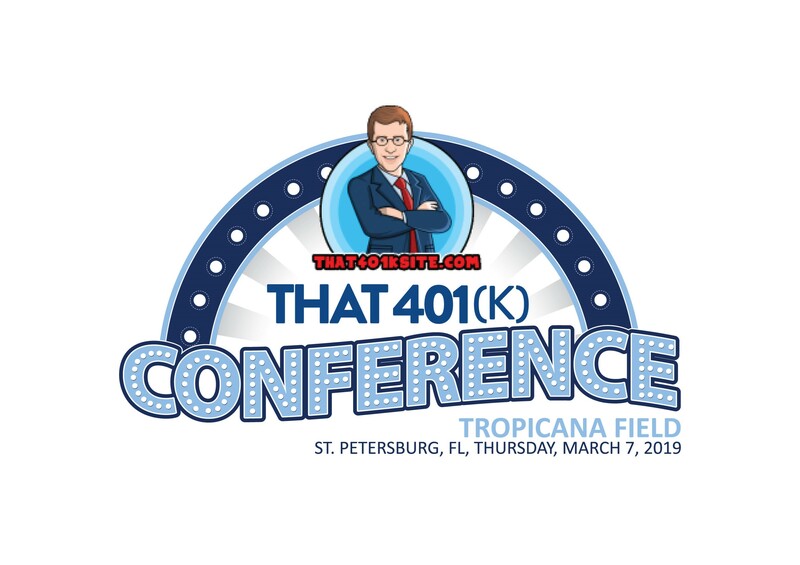 I am proud to announce That 401(k) Conference will be emanating from the confines of Tropicana Field on Thursday, March 7, 2019. Information on this site will be provided when ready. This will be in addition to our inaugural That 401(k0 Plan Sponsor Forum, which will be catered to plan sponsors. That will be held the same place, the next day, on Friday, March 8. Any plan providers interested in sponsoring one or both events should contact me.